Social Impact Bonds are falling short of their promise, according to the director behind the world's first documentary film about SIBs. LaTonya Rounsaville takes her son Reginald to a preschool student in the Chicago SIB. Social Impact Bonds are falling short of their promise, according to the director behind the world’s first documentary film about SIBs. Three centuries after Adam Smith coined the term “the invisible hand” to describe the self-regulating nature of markets, The Invisible Heart tracks the birth of a new financial market, that is hoping to solve some of society’s most complex problems. Filmed over three years – in Canada, the United States, and the United Kingdom – the documentary examines SIBs from design to implementation and explores the “unorthodox marriage between capitalism and charity”. Director Nadine Pequeneza told Pro Bono News she was motivated to make the documentary and explore “one of the fastest growing social innovations in modern history” after spending nearly two decades watching “people’s lives take a hit” because organisations didn’t have the means to offer the services that were needed. “I am a documentary filmmaker and I’ve been making films for almost 20 years, and most of those films have revolved around social issues and so people who are relying on social services,” Pequeneza says. “They are observational films, usually I’ve been following people for months or years often using these programs and services, and oftentimes the outcomes have not been fantastic. “I was really excited by the idea, that first of all SIBs look at prevention, which anyone who works in social services or the not-for-profit sector will tell you is the key and there is not a lot of investment in that area, so that I found very encouraging. Mainstay Housing’s Math Radfr with client John Carty. She says her “big hope” when she started filming was to find a more positive experience that focused on solutions. However after three and a half years what she was seeing was “not always the kinds of outcomes that people had hoped for”. “Because while SIBs promise a lot and they certainly have very high expectations and ideals, I think when you go from theory to practice there are a lot of things that come into play that make it difficult to achieve some of those goals. So that’s what I was seeing,” she says. “I can give you an example, in order to have payment triggers and in order to get the investment in and the return on investment, you need to decide what are the payment triggers, and people who are negotiating these deals want very measurable, specific, black and white triggers and those aren’t always the best indicators to show a successful outcome for people who need the service. SIBs are an investment product that are designed to raise private capital to pay for social services. In theory, governments repay investors only if the programs improve social outcomes, for example, lowering unemployment or prison recidivism, and the return on investment is tied to the success of a program. As of November 2017, there are 99 SIBs worldwide in 19 countries with 70-plus in development. The NSW government created Australia’s first SIB, the Newpin bond, in March 2013. Pequeneza says when it comes to SIBs, one thing everyone agrees on is that “every deal is different”. “It was very different in different countries and even within countries, everybody I spoke to within this market was saying ‘you’ve seen one SIB… you’ve seen one SIB’,” she says. “There are SIBs in the United States where the investors get their return regardless of what the outcomes are, even though they do an evaluation and they measure the metrics, there are other SIBs that are completely turned away from working with commercial investors and will only work with foundations, just because of what they feel is too much of a different perspective in terms of what is needed, these risk-adjusted returns, what is that and how do you judge that risk and should that really be operating in a social services market, so it was very different. During the course of the documentary, The Invisible Heart reveals a number of challenges associated with introducing a profit incentive to the delivery of social services. 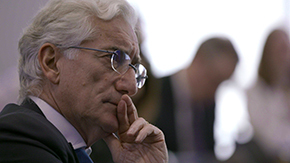 Sir Ronald Cohen at Brookings Institution. The film features world leaders in the market; SIB creator Sir Ronald Cohen, billionaire philanthropist J.B. Pritzker and Goldman Sachs fund manager Andrea Phillips; as well as critiques from stakeholders and observers, including David Macdonald, senior economist at the Canadian Centre for Policy Alternatives, and Cornell University Professor Mildred Warner. At the heart of the film is the question of what impact SIBs will have on the delivery of social services and the people who rely on them. Pequeneza says they went someway to answering that. “In that sense I think the film sets out very well what the hope is for SIBs, and where they fall short and why,” she says. According to advocates of SIBs, the model improves the effectiveness of social programs by establishing reliable metrics for measuring performance, increasing creativity, and financial flexibility. SIBs can also strengthen the relationship between public and private sectors, fund politically unattractive initiatives and enable service providers to scale-up by allowing them to obtain large amounts of capital up-front. However, the opposing argument is that SIBs require cost savings and quantitative metrics, and issues that are difficult to measure are likely to be ignored by SIB programming. There can also be extensive administrative costs and there are fears the growing attention for SIBs may distract from more meaningful social policy reforms. Pequeneza says the design of the SIB is crucial. “That is if we are even going to continue with this model, because one of the things that people have to ask themselves is do you want to pay an investor a return on a program that is already proven to be successful,” she says. “One of the things I noticed in making the film is that the investors are very risk averse and they are looking to invest in programs that have been tested for several years and there is already a large amount of data showing that the goals are attainable, and even with that they was a tendency for all parties to make these payment triggers easier. So for example enrolment became a trigger in one of the SIBs that was entered into the documentary, which really is not an indicator of its success because you don’t know if people finished the program or the impact it has on their lives, but that’s become a very common payment trigger. She says the not for profits she spoke to for the film were divided over the issue of SIBs. 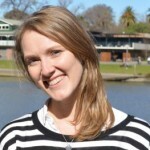 “[They are] conflicted because they want the money so that they can help more people, have good programs, they want to expand them or pilot them, ideas based on years of experience, but they are a little bit concerned about all of the financial obligations tied to it, and how this impacts the delivery of the program,” she says. Pequeneza says SIBs tended to favour services for younger people. “Because when people are doing the business case, they are saying the cost savings or the cost avoidance is larger because it is over the whole of the person’s life and so the programs have tended to favour young people, and criminal justice has been a big one as well because there are very direct cost savings, if a person isn’t in prison or going through the justice system, the same in foster care,” she says. “What surprises me is the homeless one, it has been for young people, to make sure that young people don’t end up in a situation where they are homeless, but I’ve also seen a lot of programs for older people who have been on the street for a number of years where the savings and the cost avoidance isn’t as clear. “And that’s one of the things we profiled in our film because the Ontario government was trying to develop some things for the chronically homeless, so on the streets five years or more, and the idea of the programs is to get them into permanent tenancy and then in order for them to stay there and to make their lives better they have to access a number of services they were not getting when they were living on the street. So they get access to support from the government as well as healthcare, as well as additional services or other community services that are out there but that they were never able to access. She says she the answers “hadn’t come in yet” from the various stakeholders about what the future holds for the SIBs market, but she didn’t think SIBs were going to be something that “takes off in the commercial investment market”. “Those investors are used to double digit returns, and even for them to accept an 8 per cent return is a loss for them, but from the perspective of the government it is a very expensive return to be paying on a loan, if you want to call it that,” she says. “Because of the tendency I was saying about making these goals or measurements achievable they are very little risks, and a lot are underwritten by foundations – I mean, it is in the US, it is not in the UK – so I just can’t see commercial investors going for this on a large scale and if they do, I don’t think they are going to be the kinds of programs that are really going to bring about change. She says she hoped the documentary starts a “productive conversation” between all stakeholders, in particular not for profits. “I think the not for profits are the key to all of this and so I think they have to be very well informed about what kinds of deals are being made and what the implications of some of those commitments have been,” she says. For more information about The Invisible Heart and to see when the film is premiering see Facebook and Twitter.